LeAnn Rimes made her Hallmark move debut in ‘It’s Christmas Eve’. 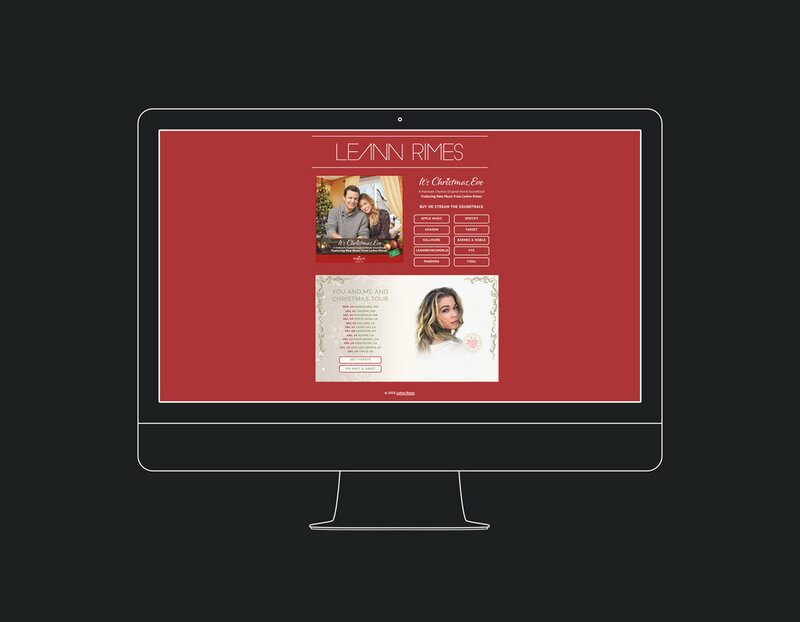 As well as the movie being released LeAnn was also releasing a new record and going on a tour over the holiday period. Her team wanted me to create a one page website to promoter her new music and tour dates, as well as providing fans with links to all the places they could purchase her music, and get tickets or VIP packages for her upcoming tour dates. I designed the page as well as building and deploying it.